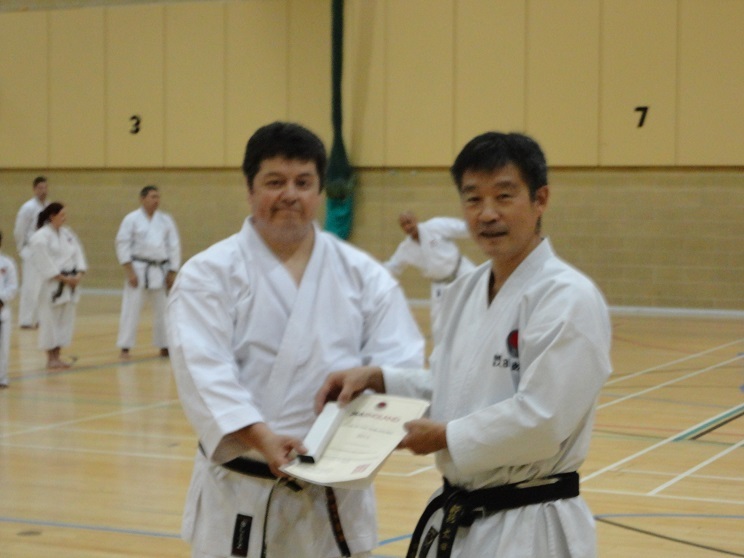 After the International Course we have Sensei Tomlin 6th Dan JKA , coming to teach at the Club. 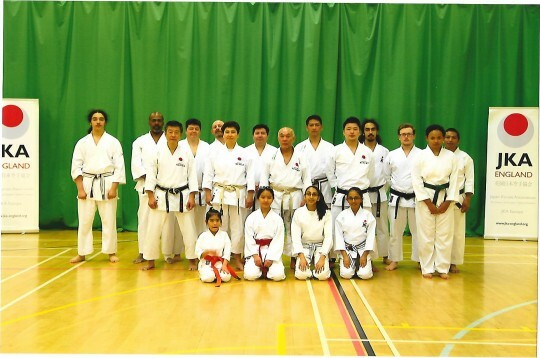 Saturday class in Newham has been cancelled because of this event. No Class MONDAY 12th November due to Centre having an evening activity. All students are asked to attend Wednesday or Saturday session as an alternative. 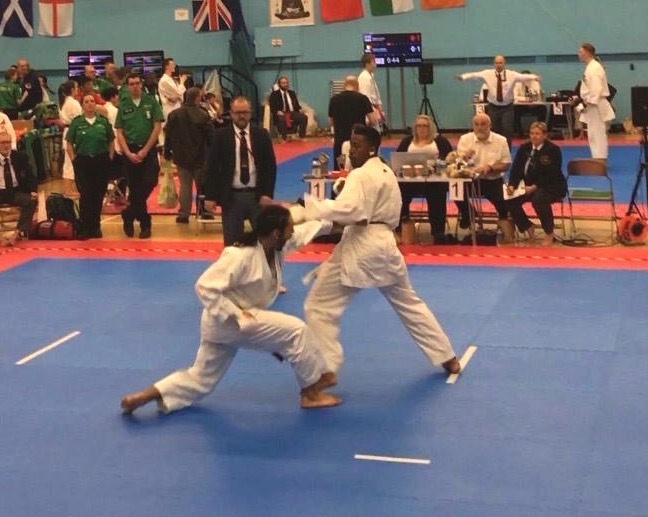 All assessments will be done this week only commencing 5/11/2018 ( everyone was briefed last week ). JKA ENGLAND OPEN CHAMPIONSHIPS REPORT! 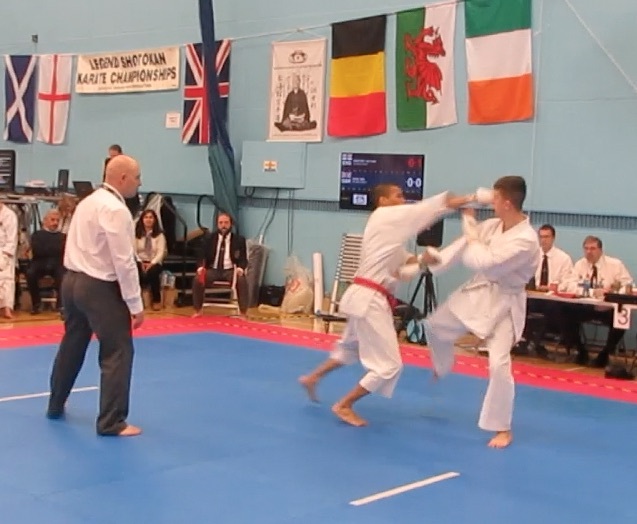 Firstly a huge thank you and well done to the club squad for participating, this was a big competition with competitors from Norway Germany Malta, other England Shotokan organisations and of course JKA England! See you in the dojo oss. 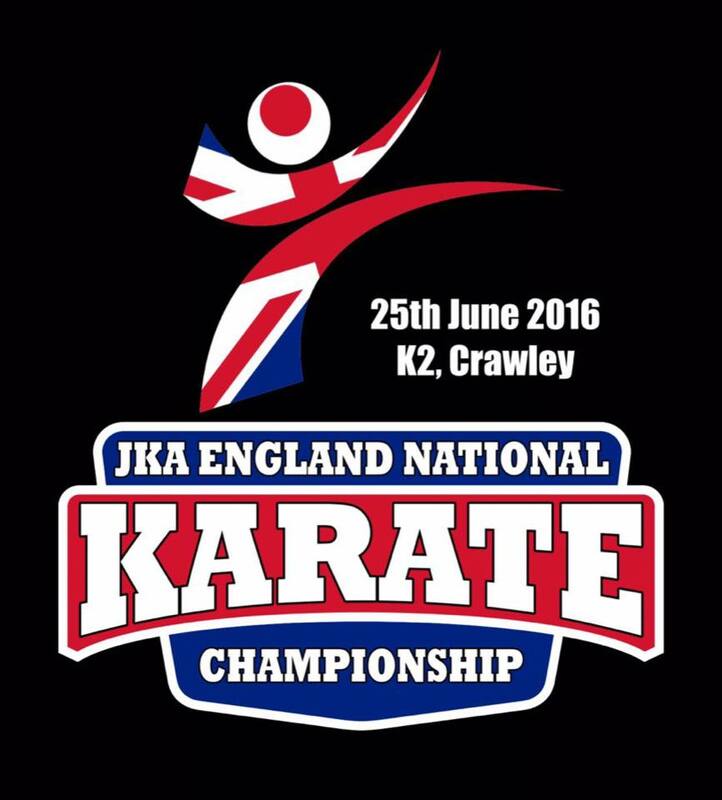 All entries will be vetoed by our Club Head Coach Sensei Brian. 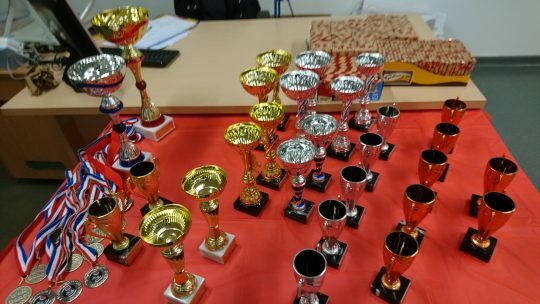 We are glad to report a very successful competition for this year. No incidents to report. COULD ALL STUDENTS WHO GOT A MEDAL AND CERTIFICATE PLEASE BRING IT WITH THEM TO THE NEXT CLASS THEY ATTEND OSS. 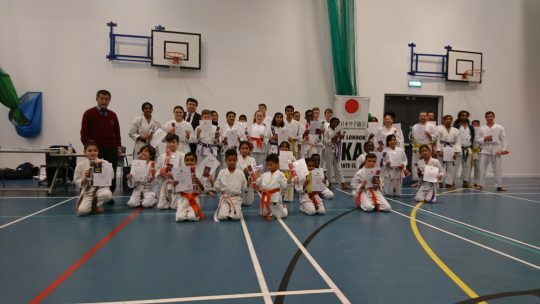 Our team did extremely well bringing in some much needed Medals Certificates and recognition to our Club. 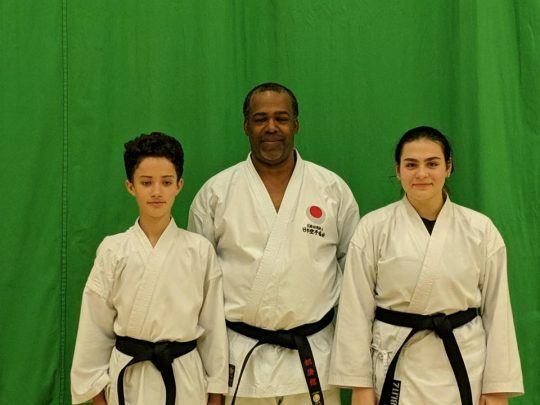 Congratulations to the following students..
Special thanks to Miranda Price for helping us out and to Brian for stepping in last minute to replace Nathan. 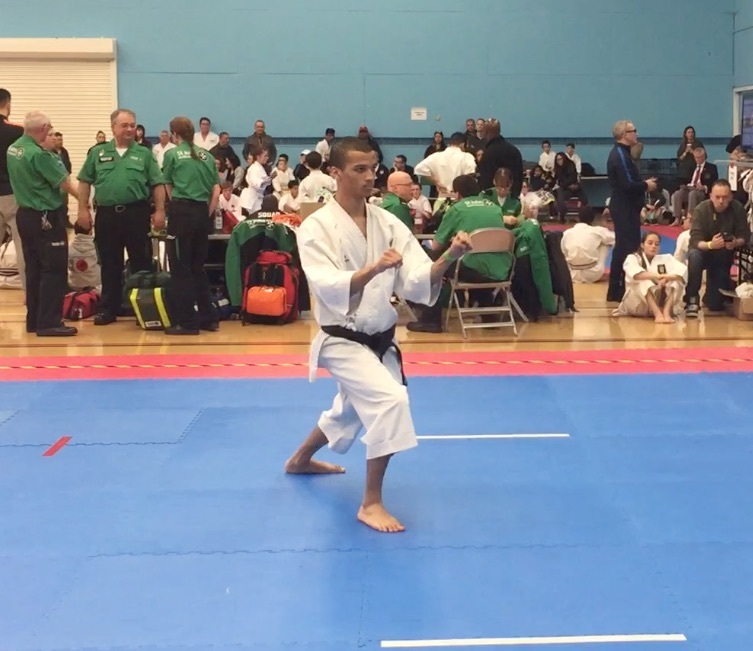 Competition was very hard this year, some of our students got knocked out in the early rounds some in the later rounds. 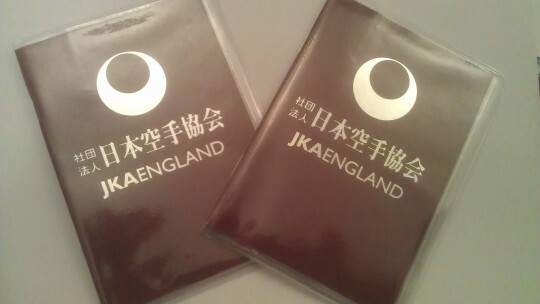 A very good day with plenty of experience for everyone involved.. 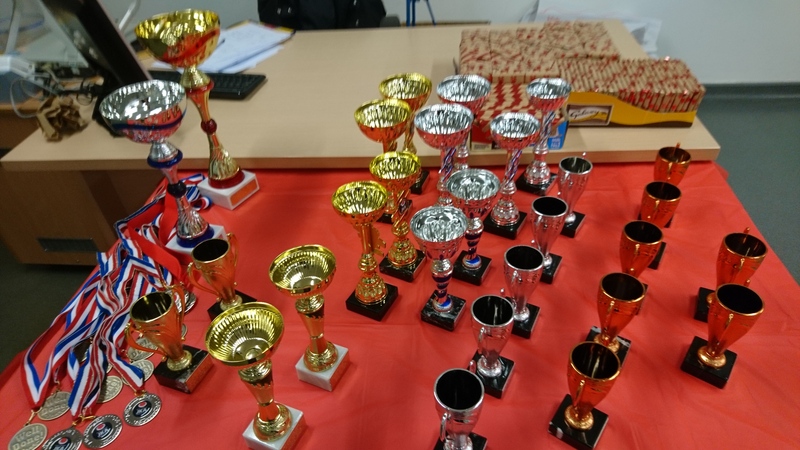 Thank you students, parents, Instructors, volunteers for you involvement and support. 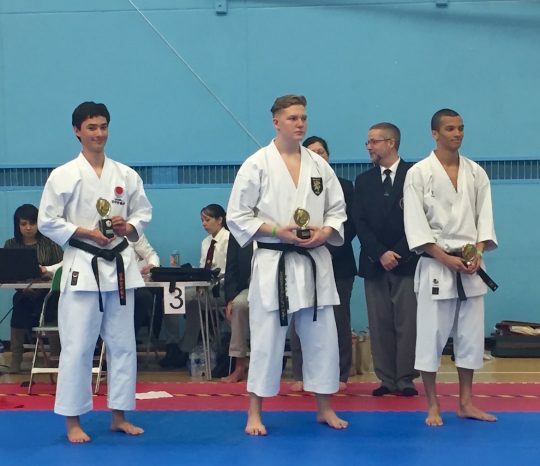 Special mention to one Andrew Dalton who sadly had to pull out last minute because of illness. Put your name done for the next one, the OPEN CHAMPIONSHIP later this year. 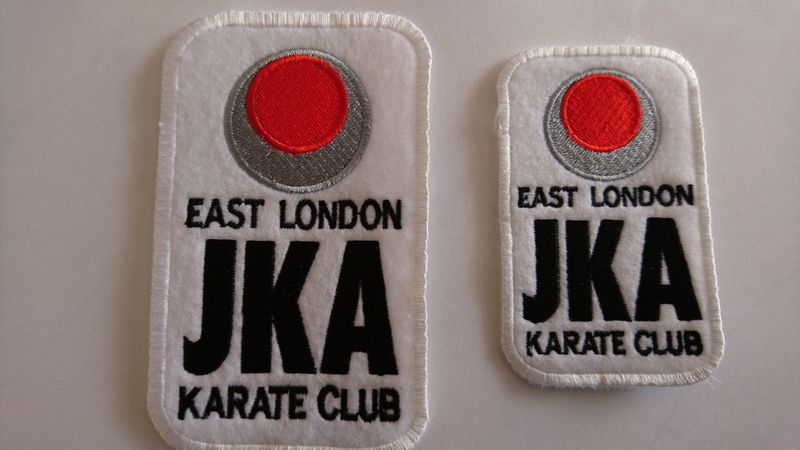 We are delighted to announce that East London JKA has 4 new Black belts at the Club. 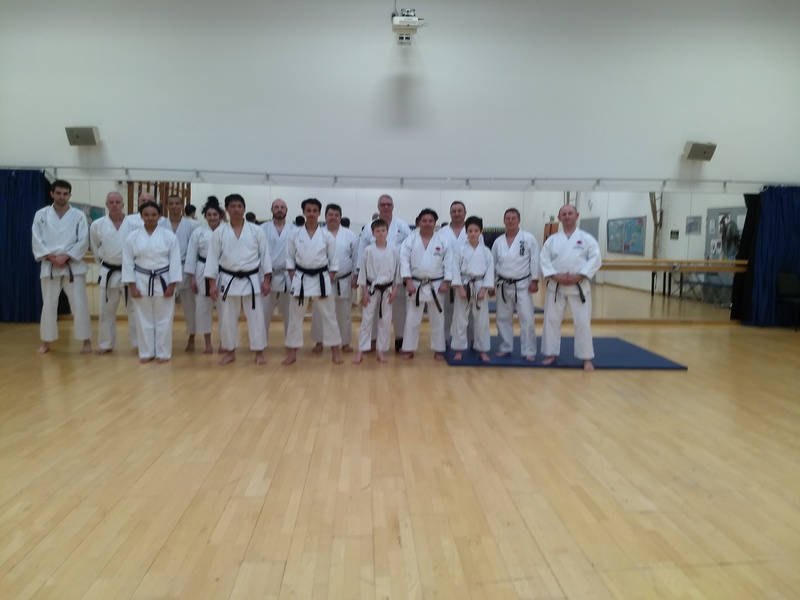 Five of our students attempted the Shodan examination with four Full Passes and one Half pass (kumite only). 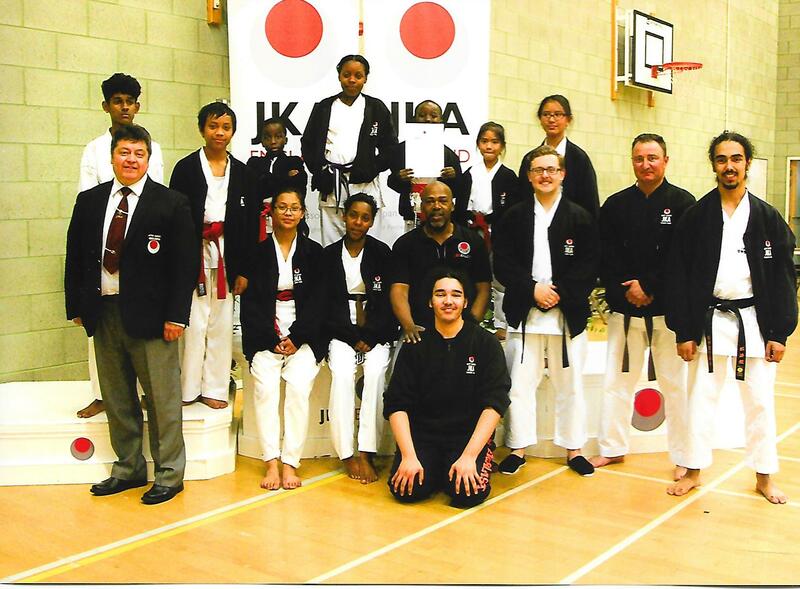 Congratulations to all of them from all the instructors at the Club. Well done to everyone hard work and training has paid off..
Lots of information and great drills for everyone..Most of all great teaching by Sensei Hagues..
Not having done combative oyo before students where encapsulated with the range provided, lots to take home and practice .. 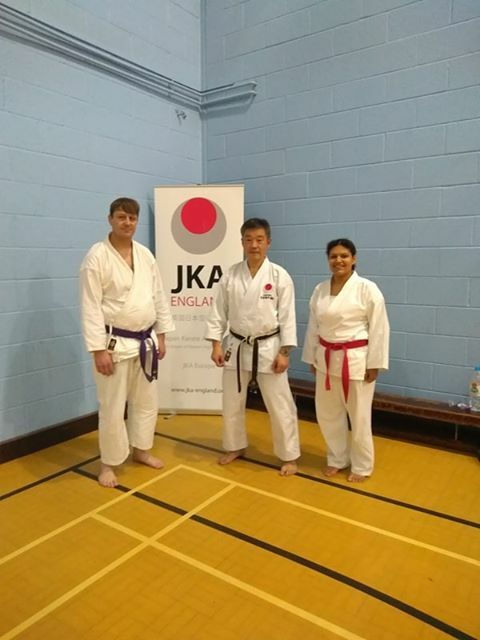 Both sessions where smoothly run, a good day for everyone involved ..
Our thanks to sensei Hague and his team for an outstanding display of martial arts, very informative and easy to follow, showing great skill in teaching and great patience with the younger members of the club.. Thank you to all the students and Instructors for your support and participation. 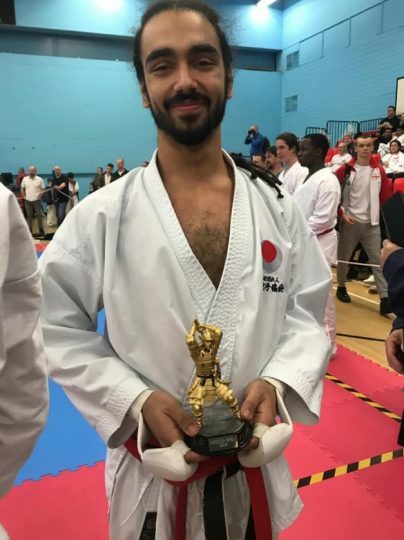 Sensei Hague will be teaching combative oyo application of Kata ie take downs, body shifting escape techniques and joint locking, plus understanding of practical kata application in a structured and easy to visualise format. 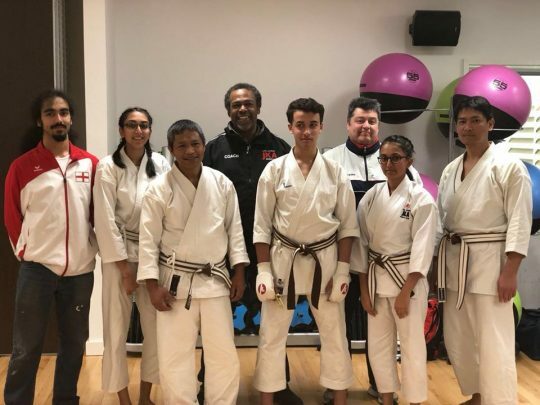 Please note we expect all our students to attend..
Also note NO SATURDAY MORNING LESSON (NEWHAM) DUE TO THE ABOVE EVENT TAKING PLACE. We are delighted to report that the Club has been awarded Club 50 Award for consistently having 50 -100 students regularly training and with in date JKA licences.. We received our award at this weekend National Competition 2016. As a Chief Instructor I am incredibly humbled by our Club’s success, I can hand in heart say that we have far exceeded all my predictions and aspirations, we have an amazing team of Instructors who help out on a weekly basis but most importantly we have loyal students and parents and friends who make the Club what it is, a family orientated and great place to learn discipline and values that will enhance your daily life. 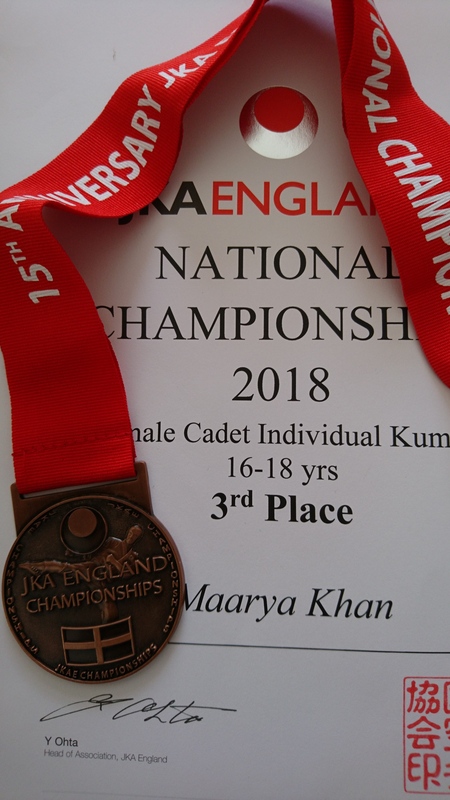 Thank you all for this wonderful gift to the Club and be proud as the award is also part of you..
Our warmest congratulations to all students in the squad that will represent the Club at the Nationals on the 25th June in Crawley..
Suhayb Haoui, Julian Cojocariu, Abby Alade, Eniola Alade, Nathan Bindi, Alexander Bindi, Philip Fagcang, Karen Claire Fagcang, Kelvin Dewee, Stanislav Ryadindkiy, Iona Celibio, Iesha Celibio, Aaaron Storey. 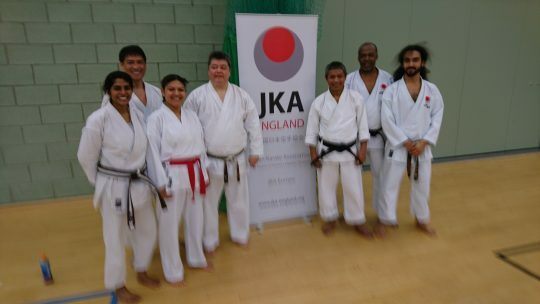 Congratulations to all the students that attended the course over the weekend..We had fantastic training alongside International students from Norway Spain Canada Serbia Denmark Estonia Germany etc. All the students will agree that the course is well worth participating, we had warm ups, kihon, kata & kumite in addition we got to see friendly countries competition , kyu gradings..Also held International qualification tests Dan Gradings photo sessions groups and individual.. Thank you all for attending and supporting our great Association JKA England..
Hello Students We have had several of you asking for our help with the Duke of Edingburgh award..Yes we can help you by signing your booklet and giving you a letter of support there’s bronze silver and gold awards ,, additionally there is also the scouts Martial arts badge that you can go for .. 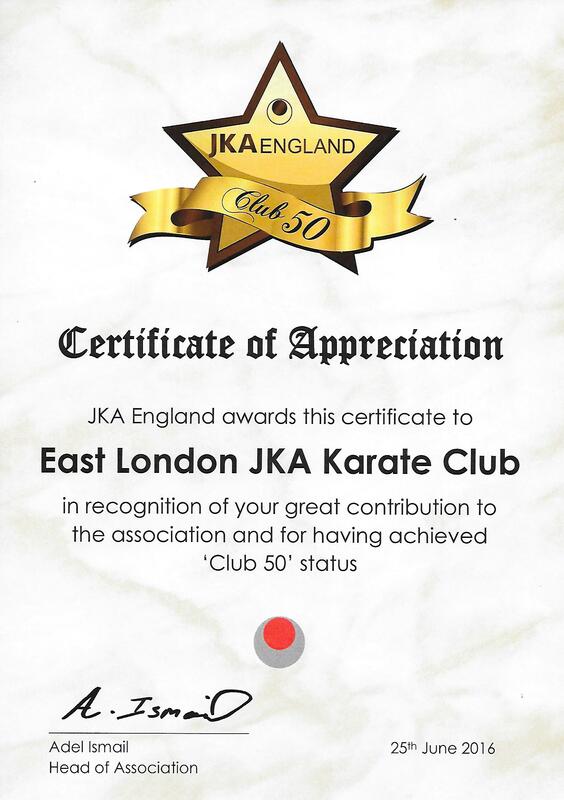 It is with with great pleasure that we announce that our Club was the recipient of a very special award from JKA England. 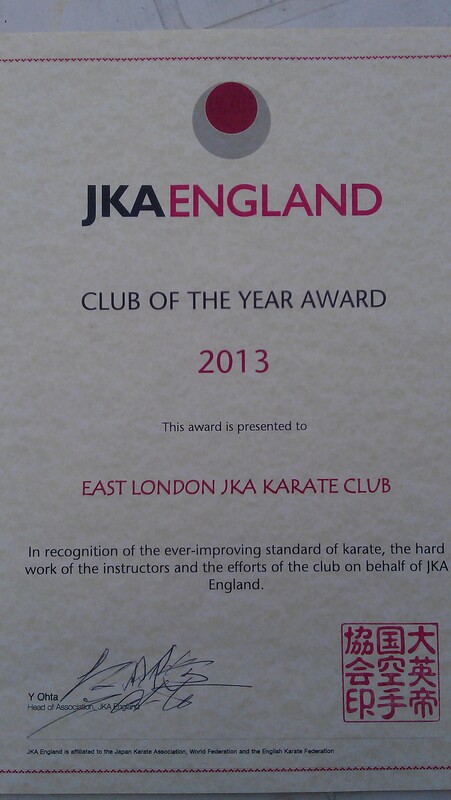 We have always strived to do our best for the Club and all the students, it is incredible that we have been rewarded for all our efforts these past years,the award signifies a personal journey for all of us, maturity as a Club and an incredible base of students volunteers and Instructors, without whom the Club could not function..
Our thanks to all of you for your understanding and incredible support these past years..
Club of the Year Award 2013 for East London JKA Karate Club presented to our Chief Instuctor Carlos Bastidas by Ohta Sensei Chief Instructor and Head of Association JKA England at the recent weekend course in Crawley..